The Golden Rock Hotel is a vantage point commanding unique breath taking views of the surrounding mountain ranges and spectacular sunsets – sights that will leave a lasting impression. Uniquely situated in an idyllic setting amid lush tropical vegetation and age-old rocks, the Golden Rock Hotel is ideal for relaxation and meditation on your trip to Kyaiktiyo. 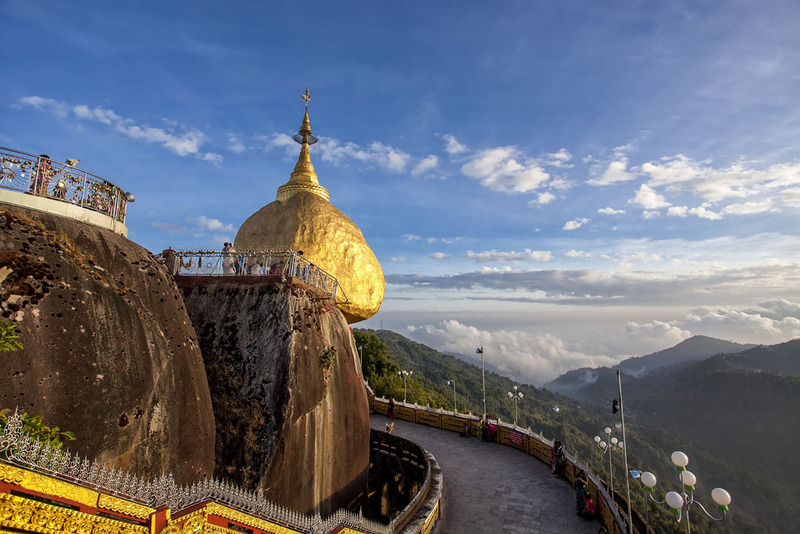 Just a 45-minute hike to the Kyaiktiyo Pagoda (Golden Rock Pagoda), the Golden Rock Hotel is one of the only properties offering international class accommodation and facilities to travelers. Accommodation is in individual chalets strategically placed on more than three acres of wooded terrain on Mt. Kyaiktiyo. The distinctive shape of each building resembles the shape of a hermit’s hat, taking full advantage of different elevations and architecturally designed to assure privacy for each room. 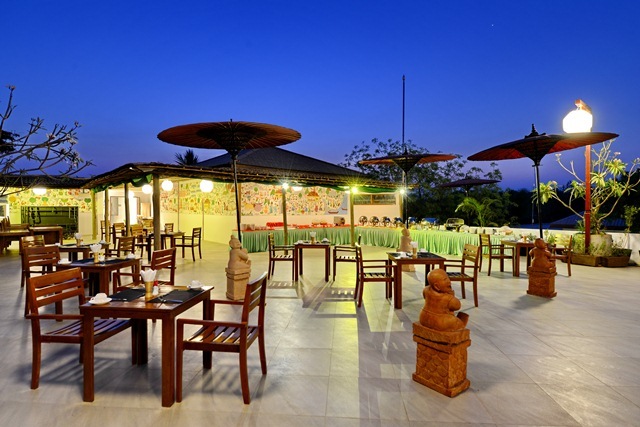 This hotel is a perfect hideout, far-away from the busy city, yet it is located only 2 miles away from the world famous “Golden Rock Pagoda” which is distinguished as one of the most awe-inspiring places in the world. We are the proud recipient of the international “Millennium Golden Award” for Commercial Prestige for Customers’ Satisfaction and the “Green Standard Hotels Award” by the Ministry of Hotels and Tourism. Taking pride in our eco-friendly and sustainable operating systems we strive for a “Greener Myanmar”. A few of our eco-friendly efforts would include the mini-dam that was especially built on the premises for collecting natural mountain spring water for the exclusive use of the hotel. Our garden thrives in biodiversity consisting of blooming orchids, many varieties of butterflies and our own organic fruit patch. Some of these fruits are placed on your table to offer the best meal experience. Golden Rock Hotel has been the most preferred amongst visitors to this sacred site for our service, facilities and our ability to go above and beyond our guests’ expectations.